Frank Forde became Australia's 15th prime minister, the day after John Curtin died in office. With political experience from state politics during World War I and federal politics during the Depression, Frank Forde took on significant responsibilities for directing Australia's war effort during the 1940s. He was deeply committed to his party, to the point of working as an organiser after his parliamentary and diplomatic career had ended. Frank Forde was willing to step up when required, and step back when the party's decision was that others should lead. Forde worked as a teacher, railway clerk and telephone technician before transferring to a position at the Rockhampton post office in 1914. There he quickly became a prominent figure in organisations such as the Australian Natives' Association. Forde won the State seat of Rockhampton in a by-election in May 1917, and held the seat until he was elected to the Federal seat of Capricornia in 1922. Forde moved up the Labor ranks and, in 1931, was one of the few Labor ministers to survive the Scullin government's defeat. Following Scullin's retirement in 1935, Forde contested the leadership, but was defeated by John Curtin by a single vote. Forde's contribution as loyal deputy during the years of Opposition transitioned into the much greater responsibilities of Deputy Prime Minister, Minister for the Army and member of the War Cabinet after Curtin became prime minister in 1941. Losing Capricornia to a returned war hero in 1946, Forde then served as Australian High Commissioner in Canada for seven years. Members and senators move in a procession past Curtin's coffin as it lies in state in King's Hall at Parliament House on 6 July. On 7 July, Prime Minister Forde flies to Perth, accompanying Elsie Curtin in the Governor-General's private aircraft, for John Curtin's funeral the following day. Ben Chifley, Norman Makin and Frank Forde stand for the leadership of the Labor Party. 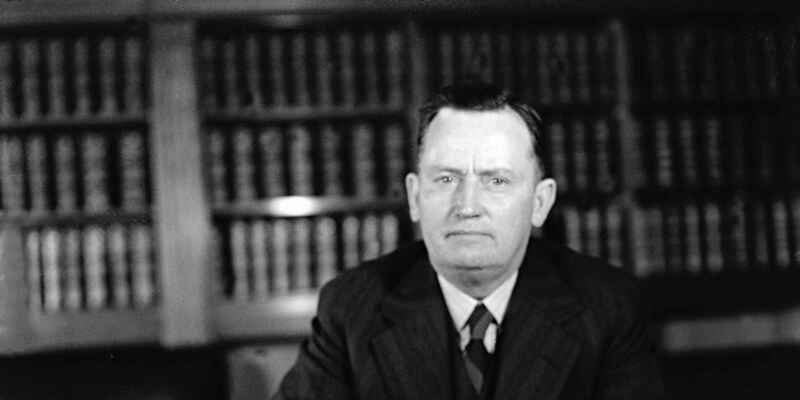 Ben Chifley is elected, and Frank Forde becomes Deputy Leader again. 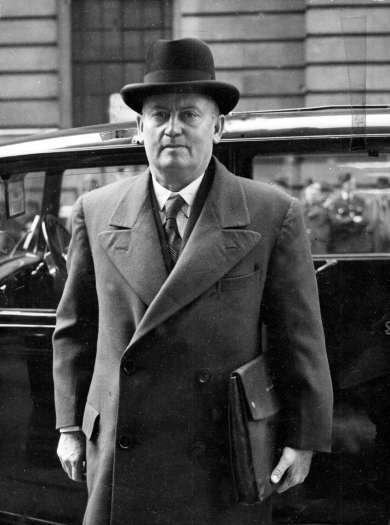 Frank Forde was sworn in as prime minister the day after the death of John Curtin in office and just weeks before the announcement of the surrender of Japan and the end of the Second World War. At this time, the Labor Party held 49 seats, while the United Australia Party held 12 seats and the Country Party 7 seats. The strong position of the government was due to the Labor party's successful strategies to maintain unity and mobilise the war effort. The focus of Forde's short term as prime minister was to help the Curtin family, the parliament and the country come to terms with the loss of the prime minister who had steered them through one of the most challenging periods Australians had faced. In 1945, Deputy Prime Minister Frank Forde and Dr Herbert Evatt, Minister for External Affairs, led a delegation to the Commonwealth Ministers' Conference in London and then to the San Francisco Conference for International Cooperation which led to the signing of the United Nations charter. 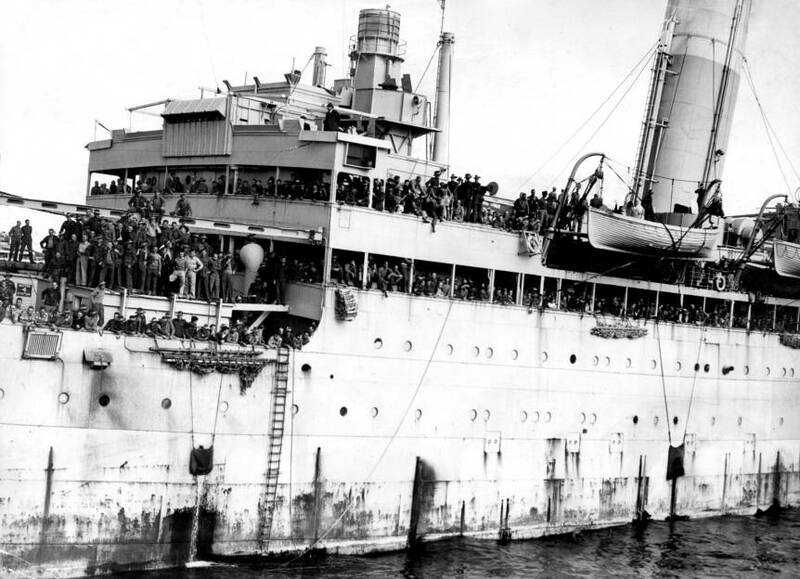 Forde returned to Australia just before Curtin's death, after three days of flying, while Evatt opted for the three week boat return journey. Despite some tensions with the ambitious Evatt, Forde presented a united front on his return, with The Australian Worker reporting that 'both Australia's delegates have made a name for Australia and for themselves' during the international negotiations. A real Australian welcome is awaiting these gallant men when they return home.